Formal structure of an organization or group includes a fixed set of rules for intra-organization procedures and structures. A formal organization has its own set of distinct characteristics, including well-defined rules and regulations, an organizational structure, and determined objectives and policies, among other characteristics. Formal rules are often adapted to subjective interests, giving the practical everyday life of an organization more informality. The deviation from rulemaking on a higher level was documented for the first time in the Hawthorne studies in 1924. This deviation was referred to as informal organization. procedure: A particular method for performing a task. Formal organization: It is a fixed set of rules of intra-organization procedures and structures. The formal structure of a group or organization includes a fixed set of rules of procedures and structures, usually set out in writing, with a language of rules that ostensibly leave little discretion for interpretation. In some societies and organizations, such rules may be strictly followed; in others, they may be little more than an empty formalism. A formal organization has its own set of distinct characteristics. These include well-defined rules and regulation, an organizational structure, and determined objectives and policies, among other characteristics. Formal rules are often adapted to subjective interests giving the practical everyday life of an organization more informality. Practical experience shows no organization is ever completely rule-bound: all real organizations represent some mix of formal and informal characteristics. When attempting to create a formal structure for an organization, it is necessary to recognize informal organization in order to create workable structures. Tended effectively, the informal organization complements the more explicit structures, plans, and processes of the formal organization. Informal organization can accelerate and enhance responses to unanticipated events, foster innovation, enable people to solve problems that require collaboration across boundaries, and create paths where the formal organization may someday need to pave a way. The deviation from rulemaking on a higher level was documented for the first time in the Hawthorne studies in 1924. This deviation was referred to as informal organization. At first this discovery was ignored and dismissed as the product of avoidable errors, until these unwritten laws of were recognized to have more influence on the fate of the enterprise than those conceived on organizational charts of the executive level. Numerous empirical studies in sociological organization research followed, particularly during the Human Relations Movement—the researchers of organizational development who study the behavior of people in groups, in particular workplace groups. Formal Organization: A formal organization is a fixed set of rules of intra-organization procedures and structures. As such, it is usually set out in writing, with a language of rules that ostensibly leave little discretion for interpretation. The informal organization is the aggregate of behaviors, interactions, norms, and personal/professional connections. Keith Davis suggests that informal groups serve at least four major functions within the formal organizational structure. Informal groups perpetuate the cultural and social values that the group holds dear. Informal groups provide social status and satisfaction that may not be obtained from the formal organization. Informal groups develop a communication channel to keep its members informed about what management actions will affect them in various ways. Informal groups provide social control by influencing and regulating behavior inside and outside the group. Informal organizations: It consists of a dynamic set of personal relationships, social networks, communities of common interest, and emotional sources of motivation. The informal organization evolves organically and spontaneously in response to changes in the work environment, the flux of people through its porous boundaries, and the complex social dynamics of its members. The informal organization is the interlocking social structure that governs how people work together in practice. It is the aggregate of behaviors, interactions, norms, and personal/professional connections through which work gets done and relationships are built among people. It consists of a dynamic set of personal relationships, social networks, communities of common interest, and emotional sources of motivation. The informal organization evolves organically in response to changes in the work environment, the flux of people through its porous boundaries, and the complex social dynamics of its members. The nature of the informal organization becomes more distinct when its key characteristics are juxtaposed with those of the formal organization. The informal organization is characterized by constant evolution; grass roots; being dynamic and responsive; requiring insider knowledge to be seen; treating people as individuals; being flat and fluid; being cohered by trust and reciprocity; and being difficult to pin down. First, they perpetuate the cultural and social values that the group holds dear. Certain values are usually already commonly held among informal group members. Day-to-day interaction reinforces these values that perpetuate a particular lifestyle and preserve group unity and integrity. For example, a college management class of 50 students may contain several informal groups that constitute the informal organization within the formal structure of the class. Second, they provide social status and satisfaction that may not be obtained from the formal organization. In a large organization, a worker may feel like an anonymous number rather than a unique individual. Members of informal groups share jokes and gripes, eat together, play and work together, and are friends—contributing to personal esteem, satisfaction, and a feeling of worth. Third, the informal group develops a communication channel to keep its members informed about what management actions will affect them in various ways. Many astute managers use the grapevine to “informally” convey certain information about company actions and rumors. Finally, they provide social control by influencing and regulating behavior inside and outside the group. Internal control persuades members of the group to conform to its lifestyle. For example, if a student starts to wear a coat and tie to class, informal group members may convince the student that such attire is not acceptable and therefore to return to sandals, jeans, and T-shirts. Under rapid growth business approach, Starbucks, which grew from 100 employees to over 100,000 in just over a decade, provides structures to support improvisation. Under the Learning Organization model, following a four-year study of the Toyota Production System, Steven J. Spear and H. Kent Bowen concluded in Harvard Business Review that the legendary flexibility of Toyota’s operations is due to the way the scientific method is ingrained in its workers—not through formal training or manuals but through unwritten principles that govern how workers work, interact, construct, and learn. “Gemeinschaft” (community) and “Gesellschaft” (society) are concepts referring to two different forms of social organization. Gemeinschaft, often translated as ” community “, is a concept referring to individuals bound together by common norms, often because of shared physical space and shared beliefs. Gesellschaft, often translated as ” society “, refers to associations in which self-interest is the primary justification for membership. The equilibrium in Gemeinschaft is achieved through morals, conformism, and exclusion (social control) while Gesellschaft keeps its equilibrium through police, laws, tribunals and prisons. Rules in Gemeinschaft are implicit, while Gesellschaft has explicit rules (written laws). Fredric Jameson highlights the ambivalent envy felt by those constructed by Gessellschaft for remaining enclaves of Gemeinschaft, even as they inevitably corrode their existence. In Gemeinschaft und Gesellschaft (1887), Ferdinand Tönnies set out to develop concepts that could be used as analytic tools for understanding why and how the social world is organized. Gemeinschaft, frequently translated as “community,” refers to individuals bound together by common norms, often because of shared physical space and shared beliefs. Familial ties represent the purest form of gemeinschaft, although religious institutions are also a classic example of this type of relationship. Such groupings based on feelings of togetherness and mutual bonds are maintained by members of the group who see the existence of the group as their key goal. Characteristics of these groups include slight specialization and division of labor, strong personal relationships, and relatively simple social institutions. Gesellschaft, frequently translated as “society,” refers to associations in which self-interest is the primary justification for membership. A modern business is a good example of an association in which individuals seek to maximize their own self-interest, and in order to do so, an association to coordinate efforts is formed. The specialization of professional roles holds them together, and often formal authority is necessary to maintain structures. Characteristics of these groups include highly calculated divisions of labor, impersonal secondary relationships, and strong social institutions. Such groups are sustained by their members’ individual aims and goals. The equilibrium in Gemeinschaft is achieved through morals, conformism, and exclusion (social control), while Gesellschaft keeps its equilibrium through police, laws, tribunals and prisons. Amish and Hassidic communities are examples of Gemeinschaft, while state municipalities are types of Gesellschaft. Rules in Gemeinschaft are implicit, while Gesellschaft has explicit rules (written laws). Tönnies’ distinction between Gemeinschaft and Gesellschaft, like others between tradition and modernity, has been criticized for over-generalizing differences between societies, and implying that all societies were following a similar evolutionary path, which he has never proclaimed. Ferdinand Toennies: In Gemeinschaft und Gesellschaft (1887), Ferdinand Tönnies set out to develop the concepts Gemeinschaft and Gesellschaft that could be used as analytic tools for understanding why and how the social world is organized. Mechanical and organic solidarity are concepts referring to different modes of establishing and maintaining social order and cohesion. Social scientists have long sought to understand how and why individuals live together—especially in dense settings such as those found in urban environments. In The Division of Labour in Society, Emile Durkheim outlined two theories to explain how social order and solidarity are established and maintained. Solidarity describes connections between individuals that allows them to form a cohesive social unit. 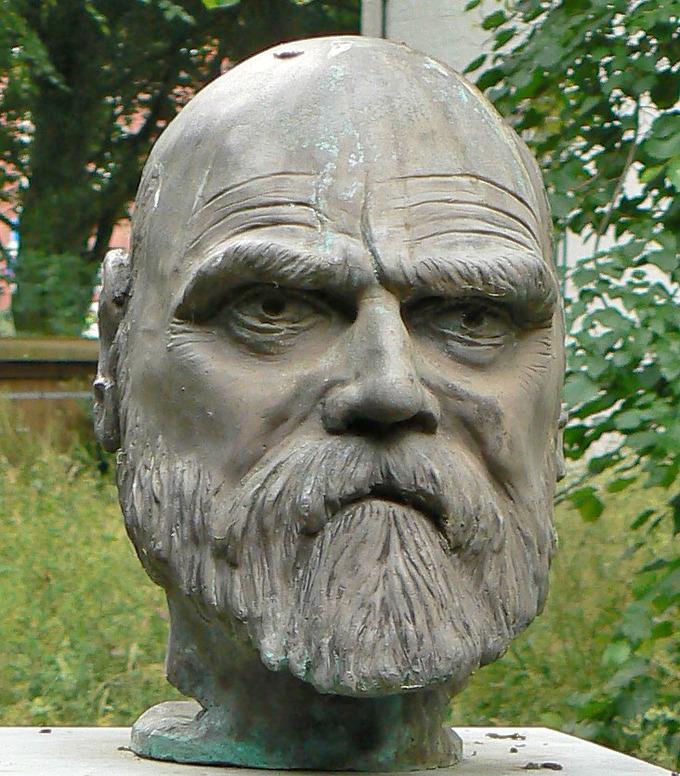 Durkheim argued solidarity is significant because it is a necessary component of a functioning civilization and a necessary component of a fulfilling human life. Durkheim described two forms of solidarity: mechanical and organic, roughly corresponding to smaller and larger societies. Mechanical solidarity refers to connection, cohesion, and integration born from homogeneity, or similar work, education, religiosity, and lifestyle. Organic solidarity is born from the interdependence of individuals in more advanced societies, particularly professional dependence. Solidarity: It is the integration—and degree and type of integration—shown by a society or group with people and their neighbors. Collective Conscious: A conscience for Durkheim is preeminently the organ of sentiments and representations; it is not the rational organ that the term consciousness would imply. Social scientists have long sought to understand how and why individuals live together—especially in dense settings such as those found in urban environments. In The Division of Labor in Society, Emile Durkheim outlined two theories that attempt to explain how social order and solidarity is established and maintained. Solidarity describes connections between individuals that allow them to form a cohesive social network. Durkheim argued solidarity is significant because it is a necessary component of a functioning civilization and a necessary component of a fulfilling human life. Mechanical solidarity refers to connection, cohesion, and integration born from homogeneity, or similar work, education, religiosity, and lifestyle. Normally operating in small-scale ” traditional ” societies, mechanical solidarity often describes familial networks; it is often seen as a function of individuals being submerged in a collective consciousness. Collective consciousness is achieved when individuals begin to think and act in relatively similar ways. Though traditional small towns, familial networks, and religious congregations are often cited examples of mechanical solidarity, dispersed religious communities would also qualify if they can be said to share a collective conscience. Organic solidarity is born from the interdependence of individuals in more advanced societies, particularly professional dependence. Although individuals perform very different roles in an organization, and they often have different values and interests, there is a cohesion that arises from the compartmentalization and specialization woven into “modern” life. For example, farmers produce the food to feed the factory workers who produce the tractors that allow the farmer to produce the food.